James Anderson receives the congratulations of England teammates. AUSTRALIA great Glenn McGrath says he has great respect for James Anderson after the Englishman replaced him as the most prolific pace bowler in Test cricket. Anderson bowled Mohammed Shami to seal victory over India in the fifth Test at the Oval on Tuesday and claimed his 564th Test wicket in his 143rd match to move ahead of McGrath. 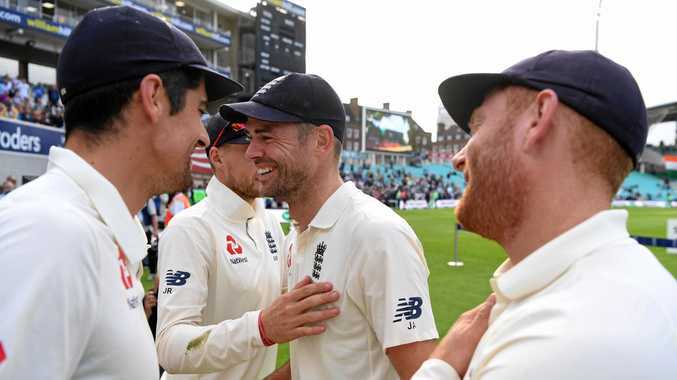 "I was proud to hold it for as long as I did - for it to be beaten by somebody like Jimmy Anderson is great," McGrath, whose haul of 563 came from 124 matches, told BBC Radio 5 live. Anderson, who made his Test debut in 2003, now trails only spin trio Muttiah Muralitharan (800), Shane Warne (708) and Anil Kumble (619). "I have a lot of respect for Jimmy. To have played well over 140 Tests and just keep running in, day in, day out, and remain at the top of his game, yeah, I'm very proud Jimmy's got there," McGrath said. He believed when Anderson retired, his tally would be difficult for a quick bowler to eclipse. England teammate Stuart Broad, 32, is Anderson's nearest active challenger with 433, while injury-hit South Africa quick Dale Steyn, 35, has taken 421 Test wickets. 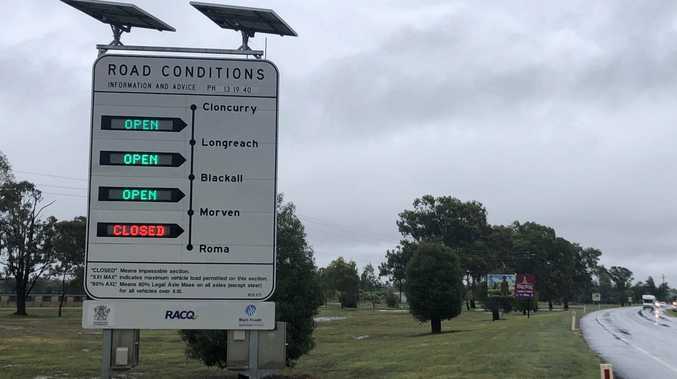 "If there is anyone out there, they have got a long way to go, I don't think we'll see it happen in the next decade," McGrath said. "Just to play enough games to get anywhere near it is tough in itself. Also, the nature of cricket these days is that there is so much more Twenty20. "The game is quicker, it's faster. And will bowlers play enough Test cricket in the future to get anywhere near the mark?" "If he can raise the bar to 600 wickets, that's an incredible effort," said McGrath, who took the record from Courtney Walsh in 2005. "When it comes to the art of swing bowling, there is no one better."